fine, lightweight silk fabric with a relief pattern which is reminiscent of the bark of a tree. Produced from sharp-twisted crepe silk with differing twists in the warp and weft. 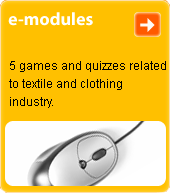 In the weft, cotton, woollen and fancy yarns are also used. Its main use is for ladies' dresses, blouses and partywear.